Dark Matters » Award Winning Brownies! Beloved customers have always known how awesome our brownies are, but now we can truly say they are ‘award winning’! Big-ups to the tasters over at 2015 Taste of the West Awards for giving SILVER our divine ‘Queen of Sheba’, and ‘New Yorker’ as Highly Commended- we’re over the moon at the results and are spurred on to get a Gold next time around. 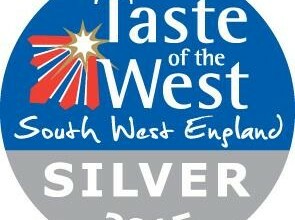 We’re really proud to be members of both Taste of the West and Dorset Food & Drink who work really hard around the clock to promote all the amazing food and drink producers we have across the South West. Without their support and events we wouldn’t be where we are today, so if you’re a foodie explorer then have a nose and see what they’re doing over the coming months, and see which producers you have on your doorstep!